Theresa Rowley of Grand Rapids, Michigan, recently just turned 104 years old. That’s quite a feat and the centenarian has a tough time believing it herself, she says the secret to her longevity lies in one drink — Diet Coke. 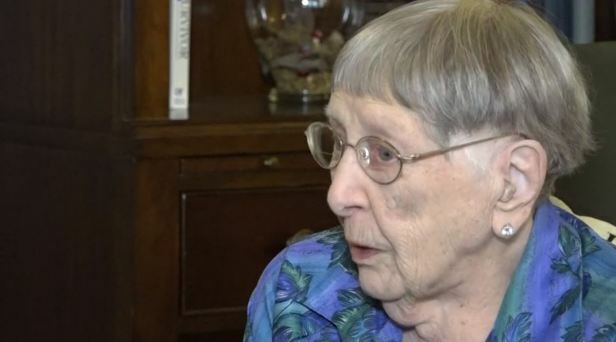 Rowley doesn’t remember when she and her family moved to Grand Rapids but says that she was born in Illinois in 1914. Today.com notes that Diet Coke didn’t even hit the shelves until 1982, but for the last few decades, the 104-year-old hasn’t been able to get enough of the stuff. But, despite Taub Dix’s analysis, there are plenty of Americans who swear by their Diet Coke. President Trump reportedly drinks 12 Diet Cokes every day, per a New York Times report. That juicy tidbit led to a lot of the major papers calling up experts for their take. The Washington Post noted a study suggesting that a Diet Coke habit increases consumers’ risks of dementia and stroke.